Bollywood Superstar Salman Khan is launching his brother-in-law Ayush Sharma with his home production film Loverati, The film is also a debut platform for actress Warina Hussain but it looks like the film just before few weeks of its release has gone into legal trouble. 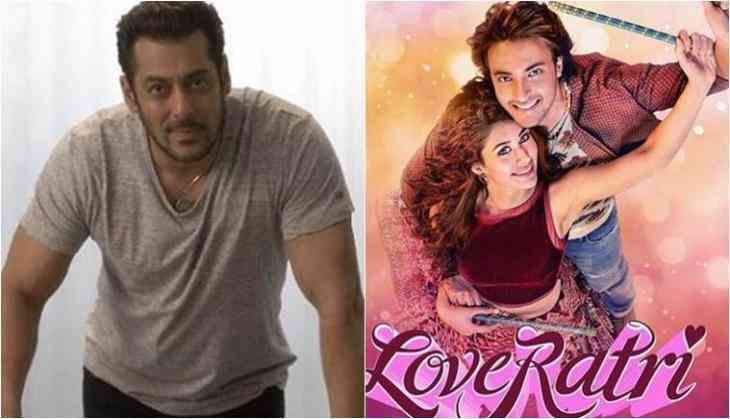 According to ANI, Bihar's Muzaffarpur Court gives orders to file FIR against Salman Khan and 7 other actors after a complaint was filed by an advocate against him and his production 'Loveratri' alleging that the title of the film hurts Hindu sentiments. This is to notice that the film Loveratri is set in the backdrop of a love story set in the nights of Navratri. It is a story of a Garba teacher who falls in love with an NRI from London. The film has Aayush Sharma and Warina Hussain in the leading roles, whether Ram Kapoor and Ronit Roy are playing fathers respectively. The film is all set to release on 5th October 2018.